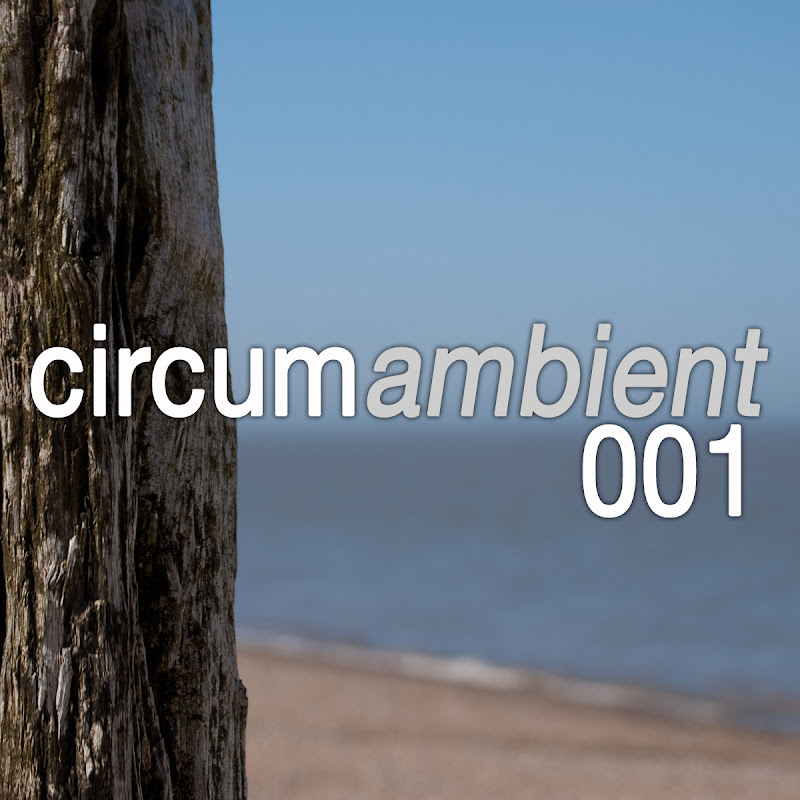 Welcome to the second edition of circumambient... a regular exploration of all-encompassing and immersive music. In this episode, we hear from Cousin Silas, Ketsa, Sima Kim, Har and Altus, Steve brand, and Good Weather for an Airstrike. We also feature an exclusive track from Earlyguard who, when asked if he could give me an excerpt of one of his long-form drones, sent me a whole new track instead and a pre-released track from Apta from his forthcoming EP on my netlabel, weareallghosts... which will drop in early October. I would like to thank everyone who downloaded the first episode and spread the word. I hope you enjoyed it... and hope you enjoy this episode too. 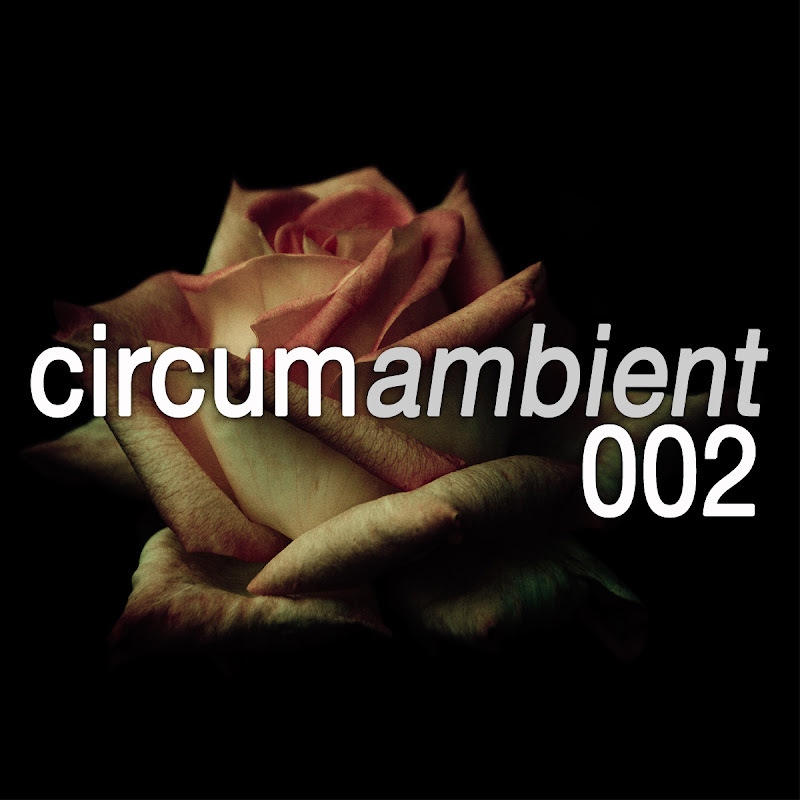 This episode features a number of longer-form tracks... tracks that you will hopefully get lost in. 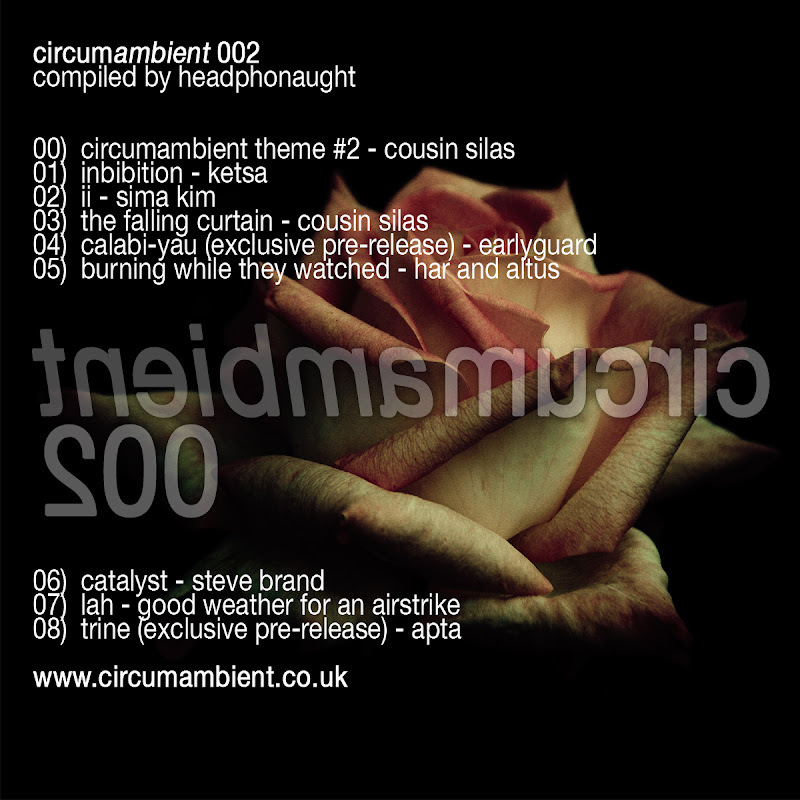 My thanks go to all the netlabels and artists who have given me their blessing to use their music... to Cousin Silas for providing the 'theme' and Andrew for providing server space. 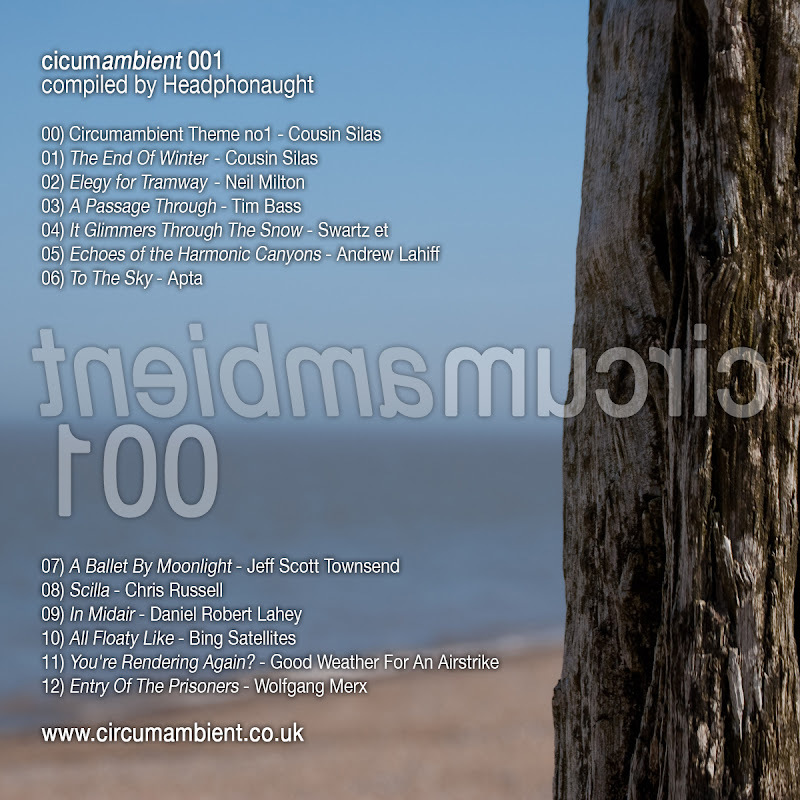 My intention is to post a few episodes on here... then launch on iTunes. I'll test the water before I take it further. Please support all the independent artists and labels represented on this podcast.